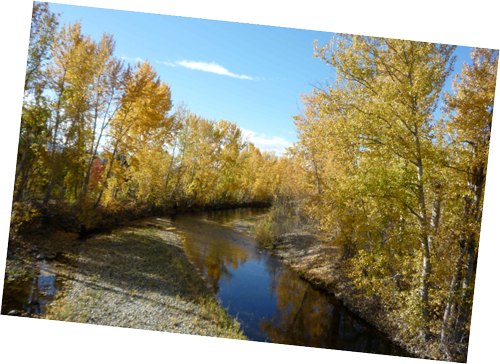 Mission Creek is at the heart of human history in the Okanagan Valley. The creek begins high in the mountains east of Kelowna, near Big White Mountain. It travels rapidly through a variety of biogeographical zones to finally slow and meander through lowlands to the shore of Okanagan Lake and Kelowna. The peaceful riparian corridor along it's last 20 km offers many opportunities to appreciate nature. Mission Creek is the major tributary of Okanagan Lake, a 100 km long recreation paradise in the warm southern interior of British Columbia. More about its history and relationship to humans may be appreciated in the Geography submenu.